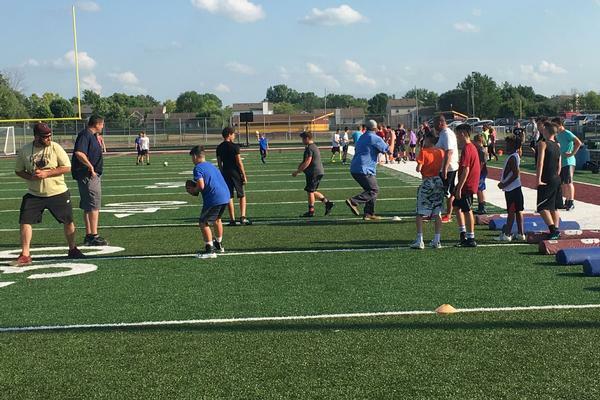 The Jr. Saints Youth Football is a non-profit, Christian Organization serving the families of youth going into grades 1-8 living in the Indianapolis and surrounding communities. 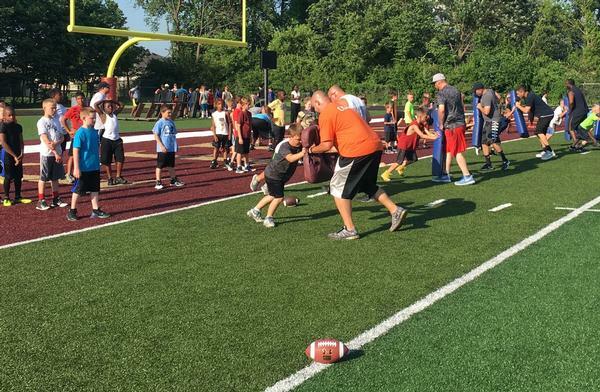 Our Jr. Saints Youth Football program teaches team building, sportsmanship and citizenship while focusing on fundamental skill development that is appropriate to the age and skill level of the players. Our ultimate goal is to create and foster a love and passion for competition and the sport of football while building a community centered around and openly sharing the saving grace offered by Christ. Lutheran High School offers a state-of-the art synthetic field with top-notch facilities. We encourage you to join this great program and see what a difference Lutheran Athletics provides! Click Here to register for Football or Cheer!